Provide comfort for the family of Diane Crudell with a meaningful gesture of sympathy. 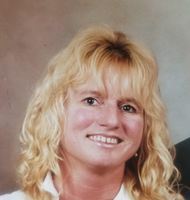 Diane Marie Crudell, 51, passed away peacefully surrounded by loved ones on December 28, 2018. Her passing came shortly after a pancreatic cancer diagnosis. Diane was born August 3, 1967 in Rockport to parents Esmond and Valerie Kaler. She grew up in Rockland and attended local schools. Diane worked hard throughout her life, working as a hair dresser, a CNA, a roofer, etcetera. She continued her education in her later years, and graduated from college. When she was unable to enter the work field again she focused her time on taking care of her dog Sophie and helping take care of her grandchildren. Diane leaves behind many great memories that she shared with loved ones throughout the years. She was known for her sense of humor, ability to laugh and making others laugh. She is also known for her big heart and willingness to help others. Diane has now joined loved ones who have passed before her such as her mother Valerie, father Esmond and her husband Cappy Crudell. Diane leaves behind her significant other, Wyatt Tompkins, her three children Aaron Wellman and his fiancé Kristy Perkins, Lacey Beal, and Brittany Boynton and her husband Gilbert, 11 grandchildren; Dylan, Gavin, Brianna, Aaliyah, Kiana, Kaleigh, Landen, Jayce, Gilbert, Jr., Skylar and a baby boy due in April. She leaves behind a sister Marcia Joseph as well as two nieces, one nephew and many other family and friends. A service to celebrate her life will be held on January 12, 2019 at 1:00 p.m. at the First Baptist Church in Waldoboro, Maine. Diane's family will honor her life privately and at the convenience of the family.